Your children are undoubtedly the most precious thing in your life, so it is little surprise that safety is parent’s biggest concerns when it comes to any type of dental treatment, and in particular, sedation dentistry. 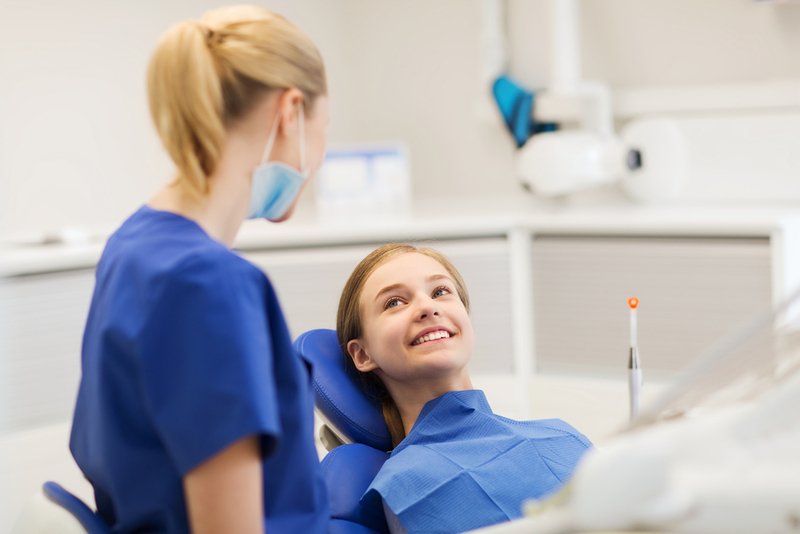 Nevertheless, there are many circumstances in which using sedation to perform dental treatments can make the entire process a much safer and more pleasant experience for your kids. There are a number of situations in which sedation is recommended and benefits to choosing it for your child’s pediatric dentistry appointment. Kids are just as likely to feel anxious about visiting the dentist as their parents are. If your young child is particularly fearful, sedation can ensure that he undergoes vital check-ups as well as any treatment that he needs to benefit the long-term health and longevity of his teeth. It can also help to prevent developing a more serious fear of the dentist. Most children are a little fidgety by nature. Unfortunately, this can make it difficult for our dentist to thoroughly check their teeth, let alone actually carry out any work on them! Since teeth are very small, and the instruments used can be very sharp, it is essential that your kid remains as still as possible throughout the appointment. Sedation dentistry can help to accomplish that and reduces the risk of any damage to his teeth caused by sudden movements. Since a sedated child is still and calm, our dentist will have the time they need to perform a check-up or dental work of the highest possible standard. This is because they can work uninterrupted and without worrying about sudden movements or your child becoming traumatized. There are several different types of sedation that can be used safely with children as well as adults. This is because the dosage of sedative gas or drug that is administered is altered to the size and weight of your child making it no riskier than sedation or anesthetic given during a medical appointment. Nitrous oxide. This is the lowest level of sedation and simply helps your child to feel much calmer and more relaxed. It is delivered via a mask placed over his nose, and the effects only last moments meaning a continuous supply is delivered until the procedure is complete. Your child will then be given pure oxygen before being released to you. Oral sedation. Delivered via the mouth or nose, this is given to your child as soon as you arrive for your appointment and will take up to 30 minutes to work. This type of sedation may make your child drowsy, but the effects will wear off shortly after the procedure. Intravenous sedation. Administered using an IV needle placed into the back of your child’s hand, a tube will also normally be placed into your child’s mouth to aid his breathing. This is the deepest level of sedation that will render your child virtually unconscious. He will have no memory from the moment that nitrous oxide is delivered to him ahead of having the needle placed to when he wakes up after his appointment. The effects can take a few hours to wear off and you will need to supervise your child while he comes around from the procedure. In short, yes. This is for several reasons. Firstly, any good dentist will ensure that your child only receives the appropriate depth of sedation for the appointment that they are having. For example, nitrous oxide should be sufficient for a child to tolerate a simple check-up. However, if a lengthier appointment is required and dental work is required, you may be recommended for your child to have a deeper level of sedation to keep him calm and comfortable. Secondly, an experienced and reputable dentist will ensure that your child is a suitable candidate not only to receive sedation medications in the first place but will also carefully monitor him throughout the process to ensure that he is not having any adverse effects to the drugs used. Finally, most parents agree that the small degree of risk associated with sedation in pediatric dentistry is far outweighed by the benefits it delivers. If you would like to find out more about sedation dentistry for kids, our knowledgeable and reassuring team would be happy to answer any questions that you may have. Please don’t hesitate to contact our offices.